Through the registration process, students pledge themselves to accept and obey the regulations of the College. The following information should lend direction to student progress by providing minimum requirements and common understanding regarding academic standards and regulations established by the College faculty and administration. Students accept the principles of academic integrity when they take their placement tests. The core of the community college’s integrity is its academic honesty. Scholastic dishonesty impairs the College’s educational role and defrauds all who comprise its community. Student enrollment is a voluntary entrance into the academic environment. Upon entrance into the College, the student voluntarily assumes obligations of performance which are imposed by the academic community relevant to its missions, processes, and function. These obligations may be much higher than those imposed on all citizens by civil and criminal law, and the College reserves the right to discipline students to ensure compliance with these higher obligations. Since the principle behind an honor system is honesty, an effective system can exist only when each student has a sense of community responsibility and personal high integrity. The College community is only as strong as its individual members. Charges of academic dishonesty on the part of a student may be reported by any member of the College community to the person responsible for the academic endeavor. Due process and confidentiality must be maintained throughout the procedures. An individual in violation of these tenets will be censured. The HCC Student Code of Conduct is published in the College Guide: A Handbook Planner for Students and may be viewed online at www.hagerstowncc.edu/student-activities/student-guidebook. Hard copies can also be obtained in the Student Activities Office. The Code of Conduct includes principles, rights, and prohibited conduct related to academic integrity and due process. By completing a course successfully, a student earns a certain number of credit units known as semester hours. In non-laboratory courses, the number of semester hours is normally equivalent to the number of class hours devoted to the course during any given week. The number of semester hours for laboratory courses varies with the hours of laboratory work. The section of this publication entitled “Course Descriptions” indicates the number of semester hours credit given for each course. To earn one academic credit at HCC, students are required to complete a minimum of 37.5 clock hours (45 fifty-minute “academic” hours) of coursework per semester. Those hours of coursework may be completed through a combination of hours within the classroom and hours outside the classroom. Certain courses may require more than the 37.5 minimum hours of coursework per credit. For most classes, students should expect to do at least two hours of coursework outside of class for each hour of in-class coursework. Student academic records are maintained in accordance with the Family Educational Rights and Privacy Act of 1974 as amended. A confidential record of the admissions credentials and academic performance of each student and former student is kept permanently in the Records Office. Access is granted only to such duly authorized personnel of the College who have legitimate need for information and to the student. Students have the right to review their record by arranging a conference with the director of admissions, records and registration. Persons requesting telephone information must identify themselves and state the reason for the inquiry. Without the written consent of the student or former student, the only information that can be given is directory information and verification of dates of attendance. Authorized representatives of agencies of the state and federal government may have access to those student records as part of the audit of federally supported education programs. Authorized representatives of state educational agencies who have legitimate educational interests may request access to the student record files. Release of student transcripts to educational institutions and other agencies is in accord with The Family Educational Rights and Privacy Act of 1974 as amended. Official transcripts are sent directly to the institutions concerned and issued to students in sealed envelopes. Transcript requests can be accessed on WebAdvisor or the HCC website. HCC uses the authorized third-party agency, Transcripts on Demand, and transcripts are processed within two business days. During peak periods, please allow for additional time. Transcripts are available to students at a cost of $5 each. For more information, go to www.hagerstowncc.edu/transcripts. A student may audit a class by registering as an auditor and paying the regular fees. No grade or credit is reported for an audited class. Credit status may be changed to audit status before two-thirds of the class is completed. The student has the option to repeat a class for credit which he/she has audited. The College does not permit people to regularly attend classes without being registered. Hagerstown Community College is committed to ensuring that students achieve the learning outcomes established for its programs and courses. To provide regular feedback that will enable the College to determine whether its programs and courses are successful in achieving this goal, students are expected to participate in student learning outcomes assessment activities related to their courses, programs, general education outcomes and institutional student learning outcomes. This expectation is an integral part of the conditions for admitting a student to study at HCC. In some instances, student work will undergo special confidential reviews. Other activities may include portfolio development, tests, surveys, or other tools to measure student learning, which may or may not be part of course or program requirements. Student participation in assessment activities assures that the College receives valuable information on student learning that can be used to promote continuous improvement of teaching and learning. By choosing to come to HCC, students are expected to participate in assessment activities as may be requested. In all these activities, strict confidentiality of individual student work will be maintained. Students are expected to attend all classes. In the case of absence due to emergency (illness, death in the family, accident), or participation in official College functions, it is the student’s responsibility to confer with the instructor about the absence and missed course work. Students should call or email their instructor on the day of any absence from class. Students absent from an announced (major) test or examination, unless authorized, may be given an equivalent examination at a later date at the discretion of the instructor. Students are classified according to the number of semester hours of credit they have earned and number of semester hours currently carried. Listed below are the requirements for the respective classifications. A student who is currently carrying 12 or more semester hours of work is classified as a full-time student. A student who is currently carrying less than 12 semester hours of work is classified as a part-time student. A student who has less than 30 semester hours of earned credit and is currently carrying at least 12 semester hours of work is classified as a full-time freshman student. A student who has 30 or more semester hours of earned credit and is currently carrying at least 12 semester hours of work is classified as a full-time sophomore student. The normal maximum course load for a full-time student who is not on probation is 18 semester hours of credit. The number of class hours will vary according to the number of laboratory courses in the program. Students, full- or part-time with a cumulative average of “B” or better at HCC, may, with the consent of the director of admissions, records and registration, take credit hours in excess of 18. Students who are employed for 20 or more hours per week are advised to carry a reduced course load. Before registering for courses, these students should seek academic advisement and carefully consider the amount of out-of-class work a course requires. “I,” “S,” “U,” “W,” and “AU” grades are not counted in determining the Quality-Point Index. The grade of “I” (incomplete) is awarded only when the instructor has determined that illness or unforeseen circumstance has prevented the student from completing all of the course requirements. The student should already have completed most of the course requirements (at least 80%) and be beyond the deadline for receiving a “W” grade. It is the student’s responsibility to complete a form entitled Request for Grade of Incomplete, which requires the signatures of the student, instructor and chair or director of the respective academic division. Also, the student should deliver the form to the Records Office before the final exam week. The student is not required to register for the course again, but must make up the work before the instructor’s deadline. The deadline will not extend beyond the end of the next semester or the instructor will assign an “F” as the official grade. The instructor will change the “I” to a letter grade within fifteen work days from the date that the student completes all of the remaining course requirements. It is important that students receiving Veterans Benefits make up course work as soon as possible. Failure to do so within four weeks could result in forfeiture of Veterans Benefits for the course or courses not completed. The grade “AU” is available to a student who enrolls in a class for enrichment but not for credit. Students must pay the regular fee and no credit is earned. A change in enrollment from credit to audit or audit to credit must be made before the established deadline. Grade reports can be viewed and printed via WebAdvisor. Interim Progress Reports are mailed early in the semester only to those students who are deficient in one or more courses. Grades are not released by instructors or by the administrative staff of the College. Students who believe they have “good cause” to appeal a final grade may do so in writing within 15 work days from the date grades are posted. Otherwise students forfeit the right to appeal. Student Learning Outcomes Assessment (SLOA) is a deliberate, systematic, and collaborative process driven by the college’s commitment to improve student learning. It is a purposeful course of action that defines student accomplishments in terms of expected learning outcomes and core competencies. Actual student achievement is measured using established internal standards and external benchmarks. The outcomes assessment process is learning-centered and accumulates data from numerous sources to determine what students know, what skills they possess, how they conceptualize, and how they will continue to learn. The overall goal of assessment is to create a quality learning environment under ideal conditions through the use of best practices that inspire creativity, innovation, and critical thinking. On the SLOA page, you will find resources for students, parents, faculty and staff. These resources include templates for faculty, recent outcomes planning documents, and links to external information. Visit www.hagerstowncc.edu/academics/outcomes-assessment for more information. The purpose of the General Grievance Policy for Students is to provide a method of recourse for non-academic issues to students who feel that a particular action or series of actions on the part of a Hagerstown Community College employee has violated accepted or stated institutional practices and standards. Student concerns appropriate to this policy include, but are not necessarily limited to, concerns regarding ethical and professional behavior of employees, arbitrary application of current College policies by employees, and perceived violations of accepted rights of students such as the right to free expression and the right to assemble. The intent of the informal level is to resolve student grievances in the most equitable manner. If a student feels that his/her rights have been violated, the student should meet with the Dean of Student Affairs or his representative to discuss the grievance. The Dean of Student Affairs will conduct an investigation of the alleged charge(s). At the conclusion of the investigation, it may be appropriate for the student to meet with the employee who allegedly violated the student’s rights. The student may request the Dean of Student Affairs be present at this meeting. If resolution is reached, all proceedings will cease. If there is no resolution, the student has the right to initiate formal charges. The student must begin formal grievance procedures within 10 work days after the initiation of formal charges by submitting a written statement of the complaint to the Dean of Student Affairs. The statement must explain what allegedly happened, what steps have been taken prior to the submission of the written grievance, and what action the student is requesting. The Dean will distribute copies of the grievance to the appropriate parties. If a student wishes to have another person present at any step of the formal procedure, he/she may request the presence of a nonlegal advisor. The student will then meet with the staff member and his/her supervisor. This conference shall take place within 10 work days of the submission of the written statement. Within five work days after the conference, the student will be informed in writing of the outcome of this meeting. If a mutually satisfactory outcome is not achieved, the student may appeal the outcome to the College Hearing Board. The student must submit the appeal within 10 work days. The appeal must be in writing and explain the nature of the grievance, the reason for the appeal, and include any supporting evidence. The appeal shall be submitted to the Dean of Student Affairs, who will convene the College Hearing Board within five work days. The College Hearing Board shall meet to hear the appeal within 10 work days, subsequent to receipt of the student’s written request. A written record shall be made of the appeal hearing. A student may submit an appeal, in writing, to the President of the College within five work days. The President will review all documentation and may conduct further inquiries. The President shall render a decision within five work days after the appeal is submitted. The decision of the President shall be final. PROCEDURES A STUDENT SHALL FOLLOW TO CHALLENGE THE FINAL GRADE ASSIGNED BY A FACULTY MEMBER. In order to successfully appeal a grade, a student must offer convincing written arguments that good cause exists for mandating a change of grade. If a student fails to appeal a final grade within 15 work days from the date the grade is posted to the student’s record, the student forfeits the right to appeal. Assignment of a grade that is malicious and/or discriminatory. This is applicable if, in determining the grade, the professor clearly did not apply the same standards used for grading other members of the class whose work and behavior were similar to those of the appealing student. Assignment of a grade that is arbitrary and/or capricious. This is applicable if the professor apparently had no discernible rationale for arriving at the grade given. Assignment of a grade that has resulted from innocent human error. The professor reported an incorrect grade as the consequence of a mistake in computation, in recording, or in some other mechanical aspect of the grading process. None of the following shall constitute “good cause” for the purpose of appealing a grade. Disagreement with the course requirements established by the professor. Disagreement with the grading standards established by the professor. Disagreement with the judgment of the professor in applying grading standards as long as he or she has made a reasonable effort in good faith to be fair and consistent in exercising that judgment. Good faith on the professor’s part shall be assumed unless the student can offer convincing arguments to the contrary. The student’s desire or “need” for a particular grade. While this sort of reason may seem compelling to the individual on the personal level, it shall not be considered “good cause” for purposes of appeal and shall not be regarded as relevant in consideration of the student’s appeal. Examples of the student’s need to have a higher grade include, but are not limited to, the need to graduate, to transfer course credits, gain employment or promotion, or to qualify for a more advanced course. The following steps constitute the established administrative procedures for appealing a final grade. All paperwork and documentation of Steps 1 through 3 will be kept in the office of the division chairperson. All deadlines refer to work days. It is the student’s responsibility to meet the established deadlines. Failure to attend any of the scheduled meetings or the College Hearing Board hearing without reasonable justification will forfeit the student’s right to appeal the grade. If the appeal concerns a final grade given by a division chairperson, a substitute faculty will be selected to act in his/her place throughout the process. The student must submit a written appeal of the final grade to the faculty member and the division chairperson. This must be done within 15 work days from the date the grade is posted to the student’s record. The faculty/student conference will occur as soon as possible, but no later than the 10th work day of the following semester. The occurrence and outcome of the meeting will be documented by the faculty member who assigned the grade and will include the signatures of the student and faculty member. A copy of the documentation will go to both parties. If the appeal cannot be resolved, the student has seven calendar days after the student/faculty conference to appeal, in writing, to the division chairperson. As part of this appeal, the student is responsible for presenting documentation regarding the faculty/student conference. After reviewing the written materials, the division chairperson will schedule a conference with the student and the faculty member within 10 work days. The results of the meeting will be documented and will include the signatures of all three participants. A file of all written materials will be maintained by the division chairperson. If the appeal is not resolved, the student has 10 work days from the date of the conference to appeal the grade, in writing, to the Vice President of Academic Affairs. At this stage, the Vice President of Academic Affairs will review a file of all written materials submitted by the division chairperson regarding the grade appeal. The Vice President will schedule a meeting with the student, faculty and division chairperson to review the materials and discuss the appeal within 10 work days. The Vice President’s written decision will be rendered within three work days and must be signed by all participants. If the student or faculty member disagrees with this decision, a request for an appeal to the College Hearing Board can be made, in writing, to the Vice President of Academic Affairs within five work days. The College Hearing Board will consist of three faculty and three students. The Hearing Board will be chaired by an administrator, who will vote only in case of a tie. The student will be notified via registered or certified mail, of the day and time of the hearing. The Hearing Board will convene in a closed session no more than seven calendar days after the request for a hearing has been made to the Vice President of Academic Affairs. If the student wishes to have an advisor present for the hearing, the individual may not be an attorney and may include a spouse, parent, other relative, or friend. The student must notify, in writing, the Vice President of Academic Affairs regarding the presence of an advisor at least one calendar day before the hearing. The advisor may confer with the student during the hearing, but may not address the Hearing Board. Following the presentations by the student and the faculty member, the Hearing Board will vote on its decision. The Hearing Board chair will inform all parties that the Vice President of Academic Affairs will receive the decision in writing. The Vice President of Academic Affairs will notify the student, the faculty member, and the division chairperson within five work days after receiving the Hearing Board’s decision. If the Vice President of Academic Affairs is unavailable, it is then the Dean of Student Affairs’ responsibility to do so. The student or faculty member may appeal, in writing, the decision of the College Hearing Board to the President of the College within five work days. The President will review all written documentation and may conduct further inquiries. The President will render a decision within five work days of the request for appeal. The decision of the President shall be final. A student is expected to maintain a grade point average of 2.0 or higher to be considered a student in good standing. Students on probation are not permitted to carry more than 15 semester hours. Students on probation are not permitted to engage in extracurricular activities such as HCC clubs or intercollegiate athletics. A student on probation is not allowed to register on WebAdvisor and must meet with an academic advisor in person. Developmental courses are not considered college level courses and cannot satisfy graduation requirements. Developmental courses are counted in the total cumulative quality point average to determine academic probation. Part-time students are subject to the same regulations as full-time students after completion of 15 credits. A student who has been dismissed may not re-enter by registering on WebAdvisor. Developmental courses are counted in the total cumulative grade-point average to determine academic dismissal. Students who are academically dismissed and feel that particular circumstances warrant reconsideration of their status may submit a written petition to the director of admissions, records and registration for consideration of the appeal. This petition should be received one month before the first day of class of the semester in which the student wishes to return. The petition form is available in the Office of Admissions and Registration. Evidence of planning, curriculum load, and work activities is taken into consideration when reviewing petitions for readmission. Petitions should be well organized, typed, and include the student’s current address, phone number, student ID number, curriculum, reasons why the student had previous academic difficulty, and why the student now feels he/she can be successful if readmitted. Readmitted students will be readmitted on probationary status, and therefore, are not permitted to participate in HCC clubs or intercollegiate athletics until they are no longer on probation. Students who are readmitted must earn a 2.5 grade-point average for the semester of readmission. After that, if the grade-point average is 2.0 or above for their work in the most recent semester attended, students may be retained and put on academic probation. If a student has not more than 30 completed credits at HCC and has not been enrolled at HCC for at least two years, the student may request academic amnesty from the Director of Admissions, Records, and Registration. Academic amnesty may be granted only once to any student during that student’s academic career at HCC. If the amnesty is granted, the student’s grade point average (GPA) will be based only on those courses taken after the amnesty is granted. This is a mechanism by which a student may be given a second chance. Please note that course grades which are no longer factored into your academic GPA will still count in the calculation for Financial Aid Satisfactory Academic Progress (SAP) requirements as mandated by federal law. Students may at any time change their programs by submitting an official change of major form to the Office of Admissions and Registration. Students, who are readmitted, change their academic program or change their status from special to degree or certificate-seeking must follow the program requirements of the catalog in place when the change is made. Students may drop or add a course before the established deadline. After the drop/add period, students may withdraw from courses in accordance with the dates published in the class schedules. Courses dropped during the “No Grade” period will not be included on the student’s academic record. Courses dropped during the “W” period will be listed on the academic record but will not be calculated in the Quality-Point Index. Students may repeat a credit or developmental course two times. Under special circumstances, they may appeal to the Vice President of Academic Affairs to re-take a course more than two times. If a student repeats a course, an “R” appears next to the grade on the student’s academic record. The higher grade and its associated quality points supersede the lower grade. In computing the cumulative grade point average, the credit hours of the course are counted only once. Students desiring to withdraw from the College at any time during the academic year must complete an official withdrawal form. Students who fail to withdraw in accordance with stated regulations receive failing grades in all courses scheduled during that semester and forfeit their rights to any tuition refund. The College posts withdraw deadlines for each semester. If a student fails to meet the deadline(s) but still wishes to withdraw, a Registration Appeal Form must be submitted to the office of admissions, records, and registration. Learn more at www.hagerstowncc.edu/registration/refund-policy. To qualify for the Dean’s List, students must earn a minimum quality-point average of 3.50 for the most recent semester. Students completing 12 semester hours or more of college-level courses are considered for the Dean’s List. The Honors Program is a rigorous curriculum track for all majors, designed to foster scholarship, intellectual growth, and cultural understanding for students committed to personal and educational enrichment. Learn more at www.hagerstowncc.edu/honors. The associates degree is awarded with “high honor” to students with at least 30 credit hours completed at HCC and who have earned a minimum cumulative quality-point index of at least 3.80. Students who earn a cumulative quality-point index of at least 3.50 and less than 3.80 and earned a minimum of 30 credits at HCC will be awarded the associate degree with “honor.” Learn more at http://www.hagerstowncc.edu/academics/honors. The annual graduation ceremony is held each May. The conferring of associate degrees and certificates of study highlights the ceremony. All candidates for graduation are encouraged to attend commencement. Each spring, the College recognizes students who have demonstrated excellent academic achievement by inviting them to an Honors Convocation. Students who have earned academic honors, been inducted into Phi Theta Kappa, graduating with honors or receiving a special award are recognized. Learn more at www.hagerstowncc.edu/academics/graduation/honors-convocation. When students matriculate they are expected to follow programs outlined in the catalog in effect at the beginning of the academic year in which they entered. Degree, certificate, and letter of recognition requirements outlined in a later catalog may be substituted for the initial “catalog of entry” requirements if they are not detrimental to the student. This provides the most current degree/certificate/letter credentials possible. Completion of all academic requirements of the program or such comparable courses as are required by the student’s chosen transfer institution. Completion of a minimum of 60 semester hours for a degree and all required semester hours for a certificate or a letter of recognition program. All students must complete at least 25 percent of their semester hours at HCC for a degree program or certificate program; exceptions to this are granted to students covered by specific agreement between HCC and another institution or agency. Completion of the required HCC credits with a minimum of a cumulative 2.0 quality-point index grade point average (GPA). Student requests for exceptions to the above degree, certificate, or letter of recognition requirements must be reviewed by the Vice President of Academic Affairs. The student will document the rationale for the request and acquire appropriate approvals. If the exception is granted, the official Statement of Exception will be included in the student’s permanent file. All candidates for degrees, certificates, and letters of recognition should submit applications via WebAdvisor by the published deadline date. Questions regarding this process should be directed to the Office of Admissions, Records and Registration. Students should select an academic program that meets their needs and field of interest. Students interested in employment upon graduation should select an AAS degree, certificates or letters of recognition in their field of interest. Students who wish to transfer to a four-year college or university upon graduation may choose from many AA or AS programs in their desired field of study. If a student intending to transfer is unsure of choosing a specific program of study within the list of available transfer programs, the College suggests that they choose an AA or an AS degree in Arts and Sciences. The AA degree in General Studies has the most electives and can be used for any purpose. Students cannot receive the AA degree in both General Studies and Arts and Sciences. Letters of Recognition (LOR)-There must be at least three additional earned credits from different course work, not used in a previously earned HCC credential, for each additional LOR awarded. Certificates-There must be at least six additional earned credits from different course work, not used in a previously earned HCC credential, for each additional certificate awarded. Degrees-There must be at least twelve additional earned credits from different course work, not used in a previously earned HCC credential, for each additional degree awarded. For students seeking to earn multiple credentials as listed above, if their new program does not have enough new credits listed as requirements, then the student must take additional course work to meet the minimum new course work provision as stated above. In such cases, a division chair or director will approve the appropriate course(s) to meet the requirement. In cases where students’ completed course work does not qualify them to receive a new credential (LOR, Certificate, Degree) they may be entitled to a double major designation. This would mean that they have combined the requirements of two credentials, without meeting the minimum requirements for receiving multiple credentials as specified above. Students must choose one course in each of two disciplines according to the specific requirements of their program of study. Students must choose two science courses, a 4-credit science laboratory course and an additional course in science according to the specific requirements of their program of study. Students must choose one course from the approved list according to the specific requirements of their program of study. Students must take ENG 101 - English Composition and one other course from the approved list. Students must choose one mathematics course at college-level algebra or higher according to the specific requirements of their program of study. Students must choose one course according to the specific requirements of their program of study. Students must choose one mathematics course at college-level algebra or higher according to specific requirements of their program of study. Students are required to complete HUM 201 - The Arts: A Creative Synthesis for this degree program. Students are required to complete PSY 101 - General Psychology and either HIS 201 - United States History I or HIS 202 - United States History II for this degree program. Students are required to take BIO 106 - Unity and Diversity of Living Things and PHS 104 - General Physical Science for this degree program. Students are required to take one course from the approved list according to the specific requirements for this degree program. Students are required to take ENG 101 - English Composition and ENG 102 - Composition and Literature for this degree program. Students must take MAT 101 - College Algebra or MAT 108 - Fundamental Concepts of Mathematics II for this degree program. Transfer programs meet basic requirements of the first two years of college programs for students who plan to transfer to an upper-level college or university and complete the last two years of study. Students planning to transfer should recognize that the first two years of college lay the foundation for effective work in the junior, senior, and post-graduate years of a college or university. These initial years give students a basic general education and prepare them for advanced work and for some specialization in the junior and senior years. The type of work which students do at Hagerstown Community College determines not only the conditions of their admission, but the ease and success with which they can do the work at a four-year college. Students who wish to transfer to a four-year college or university at the end of two years and receive junior rank must meet the admission requirements and the course requirements for the freshman and sophomore years of the college to which they plan to transfer. The four-year college will consider transfer students on the basis of their high school and college records. The sequences for the transfer programs serve as guides rather than requirements. When choosing courses in any of these programs, students should consider the requirements of the college to which they plan to transfer, the field in which they plan to specialize and their own personal interest. Career-oriented programs meet the requirements for students who wish to develop entry-level skills in industry, business and public service. These programs provide the educational experiences that best meet the needs of students and correlate with the needs of industry and business. Students are afforded the opportunity to learn by experiencing work-related functions so that they may achieve personal, economic, and social satisfaction in life. Although the primary function of these programs is to prepare students for employment, many of these programs transfer into select bachelor’s degree programs. See an academic advisor for more information. These programs prepare students for employment after one year or less of intensive study. Students have the option of continuing their education and earning an associate degree. Hagerstown Community College may award a letter of recognition to students who satisfactorily complete a sequence of courses not in excess of 11 credits. Credits obtained through a letter of recognition will be maintained on the Hagerstown Community College student record and can be used toward a certificate or an associate degree. Many of the credits obtained at Hagerstown Community College are transferable to a four-year degree at area colleges. Internships provide excellent opportunities to gain career-related experiences and workplace competencies in a student’s chosen career field as well as to obtain skills that are valued by employers when hiring new staff. Students with a GPA of 2.0 or higher and at least half of their program requirements completed may apply for an internship. For more information, contact the coordinator of Internship and Job Services at 240-500-2260 or visit www.hagerstowncc.edu/internships. Internship applications are due at least one month prior to registration. Health sciences clinical experiences are governed by third-party accrediting regulations and are coordinated through the Nursing and Allied Health Divisions. 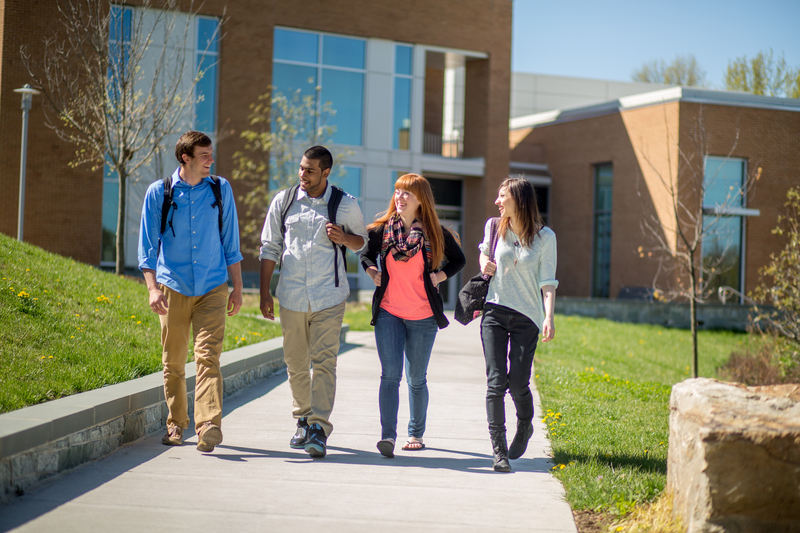 Hagerstown Community College provides the opportunity for qualified students to pursue topics of special interest for credit through the process of independent study. The College permits the qualified student to negotiate a course of study contract ranging from one to three credit hours. Students seeking more than three credits for one independent study project must present written justification to the division providing the instruction. Students may earn a maximum of 6 credits of independent study while at HCC. These credits may be used to replace discipline-related open electives or restricted electives only, and are not to replace program requirements or required specialty courses. Qualified students are those who have successfully completed six credit hours in the subject matter field and have achieved at least a 3.0 GPA. Interested students must obtain the approval of the appropriate division chair or director. All students are encouraged to complete their chosen program of study. Successful transfer program completion represents an excellent measure of personal commitment, and will enhance transfer to a four-year college or university. Earning a college credential, whether a degree, certificate, or letter of recognition, will be important to all students as they seek employment or continuation of their academic careers. Program Pathways have been designed for each degree, certificate, and letter of recognition offered at HCC, and are located in the Academic Catalog with curricular requirements. These pathways indicate the most expedient way to progress toward the credential and are suggested for full-time students who place into college-level coursework. Each student should make his or her own completion plan in collaboration with an academic advisor. Reverse Transfer is a process whereby academic credits for course work completed at another institution are transferred back to HCC to satisfy associate degree requirements. HCC has several reverse transfer partnerships or agreements in place with four year institutions and is working on securing additional agreements. When a program of study is discontinued, students will be afforded time to complete the program requirements. Academic Chairs and Directors are responsible for approving a student’s plan to complete his/her coursework. This plan may include a combination of waivers and substitutions for program requirements, not to exceed 9 combined credits. Under no circumstances can an alternative completion plan result in students graduating with fewer than 60 credits. The length of time for services and benefits to be extended is determined by the number of credits the student needs to complete the program with a maximum of two years after the discontinuance of the program. Requests for further extension must be submitted in writing to the Vice President of Academic Affairs. In October 2010, the U.S. Department of Education established regulations that went into effect on July 1, 2011, whereby colleges must disclose certain information to prospective students about certificates of 16 or more credits. For each of these certificates, the college must disclose the name and Standard Occupational Classification code of occupations the program prepares students to enter, the on-time graduation rate for students who complete the program, the tuition and fees the college charges a student for completing the program within normal time, the typical costs for book and supplies, the job placement rate for students completing the program, and the median loan debt incurred by students who completed the program. For information pertaining to completion and job placement for HCC’s certificate programs of 16 credits or more, please see the college’s website at www.hagerstowncc.edu/academics/divisions/gepd.